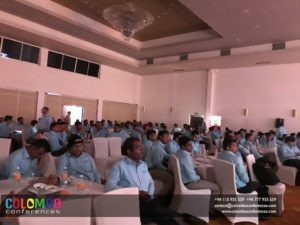 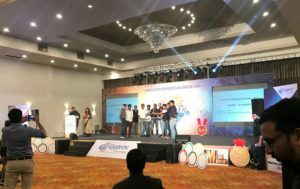 Saint Gobain India held their Annual Sales Conference 2017 at the Citrus Waskaduwa Hotel. 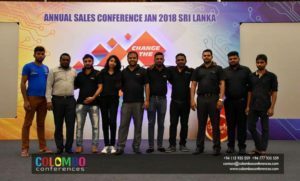 Colombo Conferences covered the event management for the entire event as the local event partner. 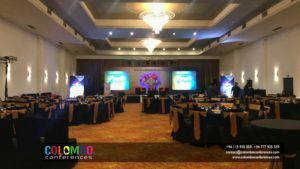 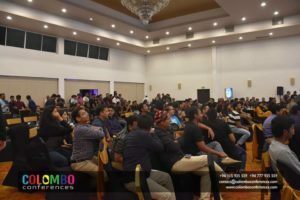 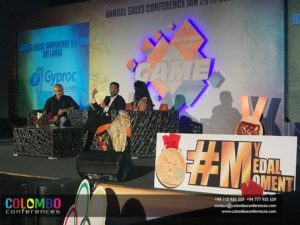 As the local event planner Colombo Conferences spent time from planning to execution of the event to make it a grand success. 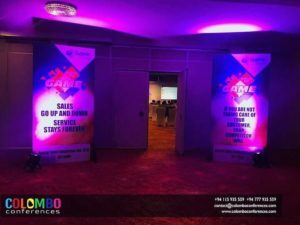 The scope of work included branding, security, event production, lights and sounds. 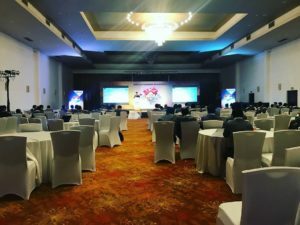 Additionally, Colombo Conferences provided other event supplies like internet requirements for media, souvenirs and other event supplies and logistics. 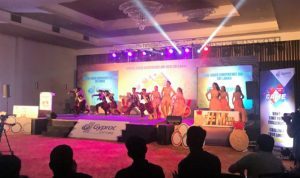 The Saint Gobain India’s Sales Team of 200 people participated in the conference. 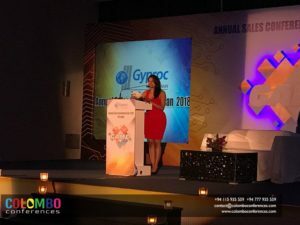 This was a three day conference followed by outings, dinner with drinks and entertainment every evening. 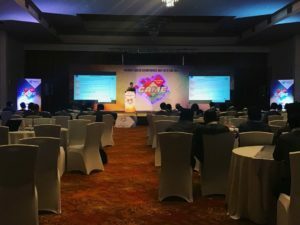 Every morning started off with a conference, lunch and finally dinner at a unique venue. 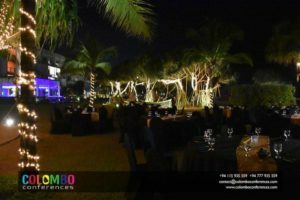 First night was a beautiful beach side dinner with cocktails. 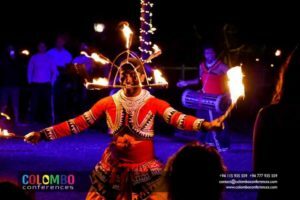 A variety of traditional Sri Lankan dance acts such as fire dancers and mask dancers took over crowd’s attention. 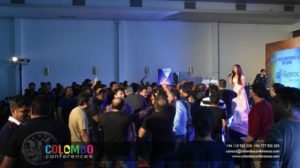 A drum fusion was the highlight as the traditional drummers not only performed their thrilling beats but also got the crowd to participate in a session along with them! 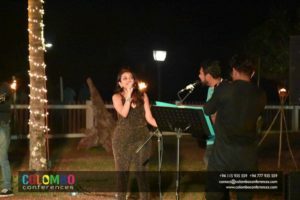 The night was then taken over by a couple of guitarists that amazed everyone by their music that kept up with everyone’s requests. 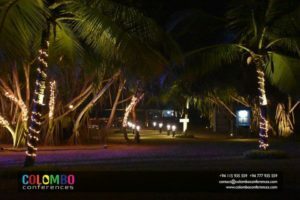 The second night, dinner and drinks at The Golden Grill Restaurant in Bentota. 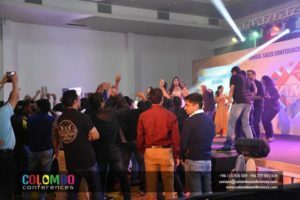 It was nothing but amazing food, pumping music by a Music Band that just took over the night and kept the energy going! Everyone danced and made memories of a great night. 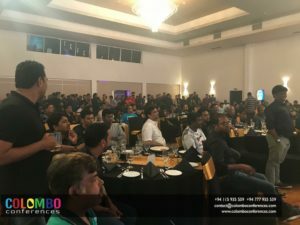 The finally, the night of the grand dinner at the Citrus Waskaduwa ballroom. 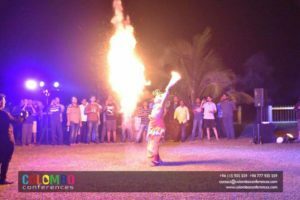 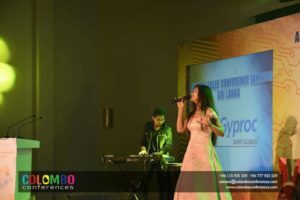 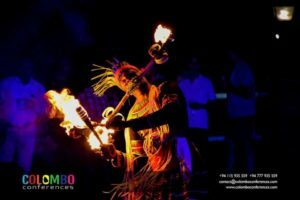 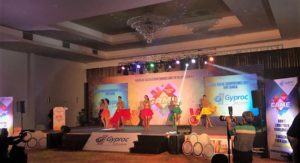 A beautifully put up Gala Dinner with a Sri Lankan dancers, An Indian Singer, interactive entertainment, a DJ and so much more that made it a memorable trip overall was the end of another great event hosted by Colombo Conferences.